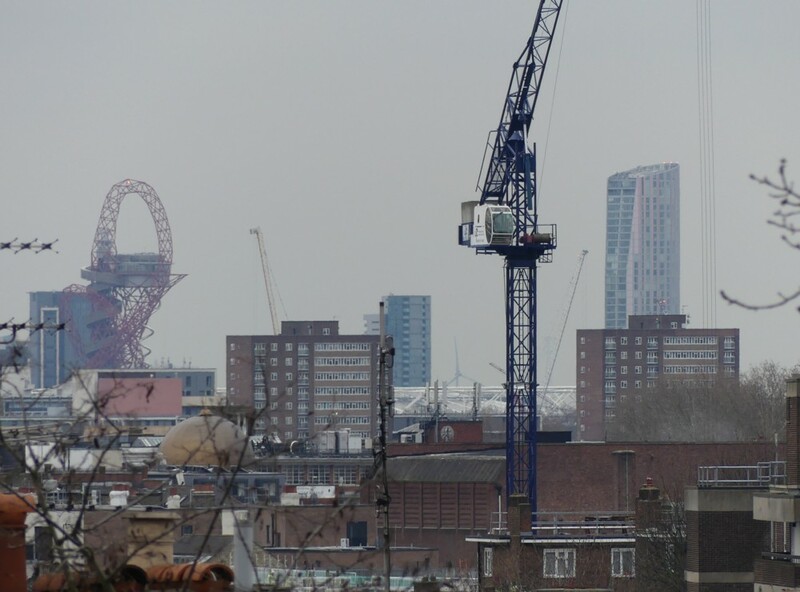 Despite the dreariness and consequent blurriness, you can clearly see the Big Olympic Thing there. Next to it, right behind the tower of the crane, you can also see, if you look a bit harder, the top of the London Stadium, now the home of West Ham United. What this photo illustrates, among many other things, is the enormous contribution to a city made by Recognisable and Big Things. Most of what you see in that photo is dull Unless you are a craniac like me) and generic. You could be anywhere. But once you see that contorted red shape, however dimly, you know at once where you are looking and what you are looking at. These Things aren’t called “landmarks” for nothing. They are like giant squirts of solidified piss from God. They mark the landscape. They give it shape and structure. You know where you are with them, but without them, you don’t. Without them, you could be anywhere. With them, everywhere becomes somewhere.